NW Washington DC (also known as Northwest DC) is located north of the National Mall and west of North Capitol Street. The largest of the four quadrants, NW Washington DC, contains most of the city’s federal buildings, tourist destinations, and wealthier neighborhoods. It encompasses the areas known as Penn Quarter, Foggy Bottom, Georgetown, Dupont Circle, Adams-Morgan, and Columbia Heights, among others. Major attractions in NW include the museums on the north side of the National Mall, Capital One Arena, National Cathedral, the White House, Rock Creek Park, and many more. 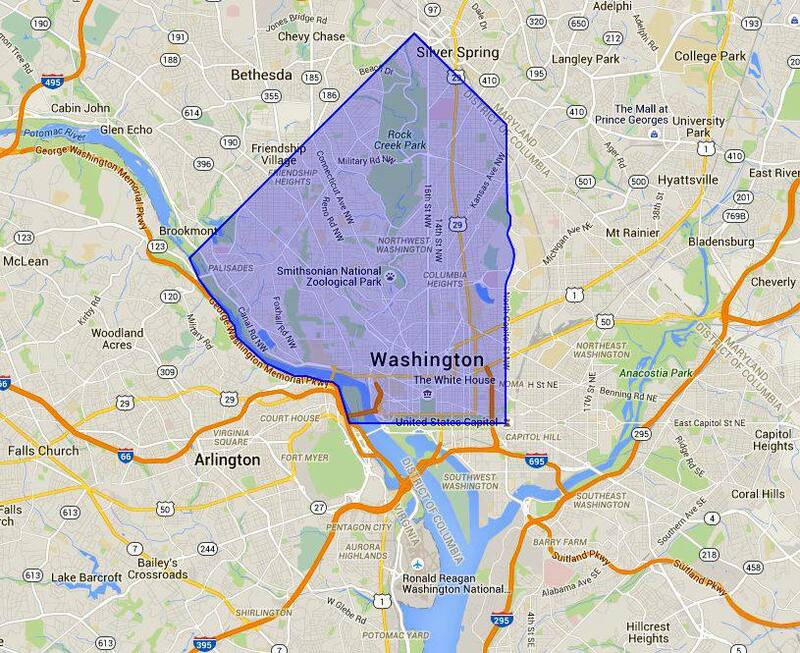 This map shows the boundaries of NW Washington, DC. Zip codes in NW include 20001, 20004, 20005, 20036, 20009, 20007, 20010, 2008, and 20016. The District of Columbia is divided into four quadrants with the Capitol Building as the center. The dividing streets are North Capitol, East Capitol, South Capitol, and the National Mall. The Mall is split between NW and SW. The Natural History Museum and American History Museum are in northwest DC and the Smithsonian Castle and Air and Space Museum are in southwest DC. This map shows more details of the major points of interests and tourist attractions in the NW quadrant of Washington DC. Major attractions in NW include the museums on the north side of the National Mall, National Cathedral, the White House, Smithsonian National Zoo, Rock Creek Park, and many more. Penn Quarter - The neighborhood near the Verizon Center, runs north of Pennsylvania Avenue, south of Mount Vernon Square, between the White House and I-395. 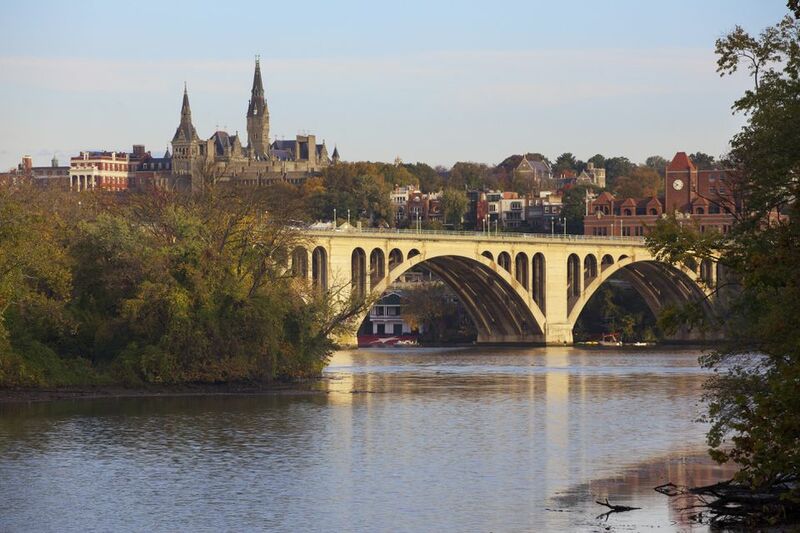 Georgetown - Located along the Potomac River, the historic neighborhood is one of Washington DC's most popular tourist destinations. Dupont Circle - Bordering Embassy Row in the center of the city, the area is one of the most diverse with interesting architecture, great museums, shopping, and restaurants. Adams-Morgan - Located north of Dupont Circle, the funky DC neighborhood is popular for its wide range of restaurants, nightclubs, coffee houses, bars, bookstores, art galleries, and unique specialty shops. Columbia Heights - The NW neighborhood is one in transition with a diverse population.